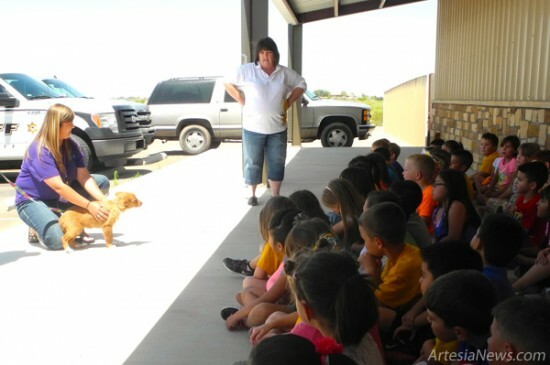 Grand Heights Early Childhood Center sent kindergartners on a special field trip Tuesday to the Artesia Animal Shelter. Around 353 students were able to make the trip and came in waves throughout the day. Students at Grand Heights took up donations during the month of March by collecting dog and cat food for the shelter. The students did so well with their fundraiser that Paws and Claws staff wanted to show the children what the food they raised was going toward. … For the rest of the story, subscribe in print and on the web.